Mercifully, they have received the mechanism. I do not think it is out of mercy though. I think it might be because it might work on someone else. A man was dragged past my cell this morning. I think he was sobbing, but I couldn’t tell, because he was murmuring something about birds. Birds. It seems like an eternity since I last saw them. Chicken. The food here is plain beyond measure. I do not know if it is my tongue that has been numbed by some drug in the food or it is really so tasteless to the point of being an art form. The lack of sensation is interesting. I have to touch the ground from time to time to remind myself that it still exists. But writing to you might have slowed the process. Men come and go, but I am still here and the Crowseers do not bother me. I wonder why. Are they scared of me? Are they hoping that they will get something else out of me? Perhaps I know a password? So where did I leave off the last time. Ah yes. The Quiet Years. Yes. After the Quiet Years, there came war of course. The Varishah attacked the Tellions, the Tellions attacked the Witts plains, and the Gorgons attacked everyone in an attempt to hold their dwindling territory. It was a very turbulent time on the borders. A village could change nationalities three times in a month. But I don’t think it mattered, because by that time, there would have been very little of that village left anyway. All of this was hearsay for me though. I headed back to the Academy that year to write down the sights of my travelling, as well as to see my old friends back at the Academy. But it didn’t last long. Well, I did not really tell you why I left did I? There was another reason. You see, my friend, Cyril of the Academy made a rather interesting flying toy, which I took without really asking for his permission. It is a device that is about the size of your palm, and it has a propeller on its top. There is also a control rod which allows you to direct it around; and a red button on the rod. I wasn’t sure what it was for, so I just ignored it and flew the device around my room for some time. But I was rather intrigued by the red button, so I tried pressing it sometime later. One moment I was looking at the device, and the next I appeared to be looking at the clouds. I remember seeing a bunny in the clouds. I have come to be resigned to the fact that the Empress will see every word that I write to you. At least that is what I believe. Really, the crowseers are rather innovative in designing new mechanisms. Each time I lean back I can feel the sharp prickling that feels exactly like an arrow-tip. I have been advised not to lie down on my back or hunch over too much. I hope they take this device off. Perhaps I can disarm it. No. If I had a nail and a bit of string perhaps I could. So I have to wait I think, until they decide to remove it. Well, following the Sotran intervention, there was a period known as the Quiet Year. In this period lasting from approximately Eosin to Nox where there was very little activity along the borders. After nearly five years of fighting, the nations have all but depleted their resources. But it is still very true then that peace is a period in which preparation for war is made, the calm before the storm if you will. It is around this time that the Varishah Federation was formed, with a pact sealed with great pomp and ceremony between the former leaders of the Kaysan, the East Isle and the priestess of the Faiths, Saffiya. I think it was about Primasin that the Twins really came into its own, as people began to gather at the Twins, and men tested in war, disgruntled by armies unwilling to pay them began forming into organised brigades available for hire. Naturally, the Gorgons became the greatest employers, and the Twins, instead of being a strategic point to squabble over, now had the military might to hold off any determined attacks by either of the nations. They would need this force in time. I am well. I wonder what Tat is doing now. I hope he is doing well too. Perhaps he is gnawing on a nut somewhere. Does he remember me? I do not know. What can we know what other beings think? We cannot. I left off my last letter with Rook Harper’s escape. At around the same time, the people of Witts, who were suffering from a similar situation as the Twins, rebelled against the Empire, but unlike the Twins, this time, they request help from Esotre. Note that this is still fifth-hand news. At around this time I spent my time amongst the bandits of Seige Ruins. But perhaps you shouldn’t think of them as bad men. These men have families too, and daughters just like you. Out of desperation that they chose this life, and how would they be different from those who sell their swords for gold, for honour, for love? Don Cutter, I remember, short dwarf captain of the bandits, but surprisingly, he knew the ballads from Leabth an Aisling, although it was one of the older poems. That a dwarf such as himself, should know the more obscure poems of the Ardites would mean that he is no common dwarf. I would have liked to know more about him. But asking him then wasn’t easy, not when you are trying to sing for a drunken bandit pressing his knife to your throat. But I made my escape. Did I ever tell you about my escape? No, I didn’t. But that was just before I met you and your mother. Life amongst the bandits was pleasant, much more pleasant than the life amongst the Oranlu Monks in the Canid Ranges, that is for sure, but I was still their prisoner, and I don’t like being a prisoner and the feeling of having a drawn bow at my back when I walk about. Back to the tale of the rebellion of the Witts plains. To think that a treaty that has been honoured for fifty years to be broken in one plea of help is a little overwhelming. I was in Silvergate at the time, and I saw for myself the soldiers marching out through the great doors. There was a great argument then about whether Esotre should go to the aid of the Wittsmen, sometimes on the street, sometimes in the Parliament and often in bars with fists to prove the point. Official word was put out that the Empress did not hear the Sotran plea for the Wittsmen, and so we were bound in duty to help those in need. But on the street it was said that the King merely wanted more land for himself, disregarding our tradition of siding with the Tellions. This was what I heard, but I do not believe that either side is completely true. The King would not act as such, nor have I known duty to overrule reason. Whether you believe it or not, that is for you to decide. I think I am getting used to writing with my left hand. The swelling in my right hand is getting bigger. I wonder if it is all right. Will the Empress see this? Well, I’ll know then, Aelise. But I am sworn to tell the truth as I see it, or hear it. The Tellions launched their counterattack on the New Year of 1277AE, catching the Gorgons in the middle of their feasting. What followed then was a brutal slaughter in the streets of Whitewater. It was perhaps by sheer luck that the commanders’ feast was held at Isotoni and they managed to rally the Gorgons and hold off the Tellion assault. The Altus Rook of the time was sent to personally take charge of the raid. Known as the greatest general of his time, the man known as the Gambler was said to have vanished right before the Gorgons rallied. Leaderless and without direction, the Tellions were caught flatfooted in unfamiliar territory – routed in sideways, ambushed in back alleys, and trapped in dead ends. The Gorgons had the advantage of the city and darkness, and the Tellions were pushed out like rats from a flooded sewer. Rumours say that the senseless slaughters sickened him, and others whisper that it was that he sensed a failing gamble and chose to flee instead. Whatever his reasons, he was not there when the Gorgons rallied, and the Tellion response fell apart. It was this that caused the former Altus Rook, Vidius Harper, to be named a renegade by Empress Livia. I do suspect that however, that the falling out between the Empress and her most trusted aide had been a long time coming. Things like this just don’t happen overnight and it was well documented how he had been like a mentor to her. This is where things get messy, and where your parents come in. All who had been close to Harper were… harshly questioned and purged from the Imperial Mark, and this prompted many of his loyalists to go into self-exile. Your parents have always been especially close Harper, your mother in particular served as his personal aide at one point of time – and the persecution of those around them prompted them to flee. I shall not go into details of what happened next, but I hope that you do not blame her for not being entirely truthful with you. What she wanted was in your best interests, to protect you from the harshness of the world so you could live a normal life, away from the troubles of the Empire. There, I have said my peace and now my heart can rest easy. I know I have not betrayed your mother’s trust however. In all probability, this letter will never reach you – probably for the better. I apologise for not writing. My hand was I was prevented from writing. It appears that some do not appreciate my writing, but I will continue writing until my audience is found. My wish was fulfilled in a way. It appeared that the crows did not like what I wrote, perhaps the Empress. I am not sure what displeased them. Perhaps it was my comment about the Empress. I saw her, though veiled in shadows. I think she came towards the end, but I do not know exactly when. She just seemed to appear. She watched me for a moment, then said: “Makkre. That is your name. Sing on then, sorry songbird. I will see what you write. My hand pains me. I will continue another day. The first few days of prison here I don’t want to remember. I was brought from cell to cell. Once I think I heard the street. I know nothing, but your mother’s name was mentioned often. I hope you are safe. But eventually, they left me here. There is nothing much to write about from here in this tiny cell. We have nothing to do in any case. The boredom have driven some mad. They dragged a raving man past my cell this morning. Oh, the sweetness of hearing another human voice. I strain to hear the break in the silence daily, but they make sure there is none. Now what would you know? You might be worried yes, why are these people looking for your mother. I must tell you that no, your mother has done no wrong. But these men are not mistaken either. Such is the world where good must hunt good because we tread the line where there is no right or wrong. There is only you and I. But I am distracted. To know why, you must know what has gone before. I will tell you now. You know of the invasion and the rise of the Empress yes? Well, I will then tell you the story from the time when the Tellions marched to East Isle. Well, I was searching for the legendary chalice of Al Bruga – which turns wine into ale – in the Finn Eyrie then, while at the same time there was growing discontent in the Twin Cities. Men were housed in the city as the army in the South was fed and reinforced, far beyond its limit, and when you put too many men together with nothing to do, trouble brews. Later, I heard that the number of thefts, fights, and murders in the streets increased. It was a terrible time and place to be in. The Tellion garrison turned a blind eye to it, and the violence grew. It was then that Dame Galea decided to pick up where the Tellions left off. There are differing accounts of the uprising in the Twins when the Tellions decided that they had enough. Some say that it was in the spring of 1276AE, some say that it was in winter when Dame Galea got together with her trusted associates and reformed the Gorgons. But so it was in that periods that the Gorgons made their presence known, and the following spring, the Gorgons drove the Tellions out of the Twins and Dame Galea declared the Twins as an independent state. The people then conferred upon her the role of being the mistress of the Twins. Such was the formation of the Twins. It is hard to believe how such a uprising could have held off the Mark. Perhaps it is the fortified position of the Twins, and for the fact that the citizens of the second largest city in Estellion are willing to fight to the end to drive out the Imperial Mark, well… maybe that was why an immediate counterattack by the Tellions was held off. But had it been today, the Empress would not have done the same. From what I know, the retribution of the Empress is swift. I mentioned I was in the street, and I slunk off to some places where I was sure that there would be ale sold. It is in every city. Once you are familiar with the city, you will find them. Perhaps one day I will show you around Silvergate and how it is truly like. That is, if your mother allows. The ale took some finding, but there were signs already that all was not well. I curse my folly in not spotting it sooner. The tavern was underground. I suspect that it is a converted basement, but you don’t ask when it is the only tavern in town. I bought my ale at a ridiculous price and settled down to enjoy it. But not soon after, I heard murmuring, and there appeared to be a soft but heated discussion at the bar. There were two men and a woman standing at the bar, arguing with the barkeep. One of them glanced at me. It was then I felt there was something wrong about the place. My neck always prickles when there is something wrong. These taverns are usually sullen places where everyone keeps to themselves. They are dirty and have very little of furniture. But this tavern was cleaner than most I have been in, and there was light from a fireplace that didn’t make the entire room smoky. It was well kept. Too well kept. I edged out of my seat, but the trio came over quickly and stopped me. The woman asked if I was Makkre. I denied it immediately. Whenever someone asks if your name belongs to you, deny everything, admit nothing, and make counter accusations. I only got to the second stage when the men grabbed me and hauled me out into the alley. I shall spare you the details, but it was a particularly intense questioning. I was a little woozy at that time, but I heard them talking, and your mother’s name was mentioned. It was through a haze, but I knew I had to warn your mother. I didn’t think they were going to send your mother flowers. I made a rather hasty escape, but managed to lose them in the city. But they knew where I was staying, and cornered me there just as I was about to make my escape. I’m rather proud to say that I put up quite the fight, and Tat managed one man on his own. An enraged weasel attacking a man is a sight to see. But there were only the two of us, and there were five of them. I was knocked out and dragged off. I wonder what happened to Tat. I think he escaped. The last look I had of him was a screaming man and a shape under the cloth. Aelise, it has been a long time. It was difficult to recover at first, but I think I am better now. There is nothing much to say about this tiny cell. There is not enough space to move properly, and down here, you can always smell the stink. I have decided to write to you again. It is better than writing to myself. It is difficult to tell after a while what I know and what I have made up. But if you tell someone else, then it becomes much clearer. Where do I begin? Perhaps after my last letter is best. I don’t think what I write now would make a difference anyway. Well, I ventured out into the streets, looking for that mug of ale that I was looking for. I passed a procession of prisoners, fettered and shuffling along the street. People opened a way for them, not looking at them. I found out later that these were the condemned. They disappear into the Obsidian Perch and are never seen again. Sometimes they just disappear, sometimes they are marched around as an example. You can never tell. You have never seen the Obsidian Perch before, and I only a glance. It is a black outcrop, set into the tallest tower within an imposing fortress which sit upon a hill that the Atium is built on. The walls of the fortress rises high above the rooftops of the city. Archers patrol its walls, and Earthshield veterans stand guard beside its massive iron doors. Unlike the Academy, these doors are opened by brute force, requiring the use of four ocaire rams to pull them open. The ocaire rams are native to the Canid Mountains, and them being in the Atium is a tale of its own. People pass the gate. The gate has four tumblers, and the central key is semi-circular. I have a metal piece. I do not think that it is possible that I can pick it. The crows come and leave. I wonder how is Aelise? The walls stand, untouchable, unbreakable. Grills cold, my hands numb. What time is it now? What day it is? How long have I been down here? I fear these questions might not be answered. The guards say nothing, they are silent, we have to be silent. The Empress, demands silence. I have seen her. Terrible, beautiful, scarred. Where was I? Yes, writing, so I won’t hear voices in my head. Not like that time in the Lyri cave. They give me paper, and I will write. Those that crack and begin to rave, those are the ones dragged away. We can hear the screaming even through the walls. I can hear them. I hope I’m not hearing things that are not there. This silence, surrounds us. There is nothing but the weight of complete silence. Even a silver of sound to break the silence is a gift. But they give me paper, and take it away at the end of the day. Perhaps they want me to write down what I know. Perhaps I will. But I will write. The city of Atium is huge. I tried walking about its middle, and it took half the day. The city is not so dead yet. I think some districts are condemned, and yet others are allowed to thrive. In some places death and fear hang heavily in the air, and yet in others it is as lively as the Twins. It is so strange that wealth and poverty can exist alongside each other. It appears that I have managed to stumble into the richer part of the city. It is separate from the other neighbourhoods. It is quite clear from the fact that there is a house-wide gap encircling this particular area. The guards patrol discretely here, in squads of two to four while in the other districts they would usually march in groups of ten through the centre of the street. The houses here rise above higher than those I have seen on coming in, and there are no washing lines hung from rooftop to rooftop. The men and women are better dressed than the rags of the general populace. Some guards stared at me, and I stared back. But they did not stop to question me, although one asked me where I wanted to go. I replied that I knew exactly where I was going. That was that. Surprising. Perhaps the Atium saves up its thuggish guards for the seedy districts. The guards I encountered in the district were clean shaven, polite, and their armour shone. I’m not sure if that is a good thing. I have learnt that the guards to keep away from are those who have battered armour, slouch in the shadow of doorways and have a bit of stubble. Not all these guards are bad people, but they are unfortunately the ones I do not want to be around with when I happen to accidentally cause some perceived crime. They tend to catch those they chase. Anyway, I paused when I reached the square of the district, where some event with hounds is being held. I saw a number of fine breeds around, but I was stopped by a beautiful woman at the gate. Her face was clear of any blemish, limbs supple, and dressed in sapphire blue silk that only just avoided touching the ground when she moved. She looked to be the one in charge of this affair, and she paused when she caught sight of me. I think she was about to ask me something, kindly perhaps. But then I was already gone, moving quickly away. These places are not mine to be. I don’t think they ever will. The city of Atium is quiet, far too quiet for my liking. The marketplace should be loud enough to drown out everything else, but all I hear are hushed whispers as people negotiate their deals. I found my reason though. There was a decree, prominently displayed, that the punishment for speaking too loud is hanging, and to make the point clear, there is a dried body swaying above the decree. Perhaps it might not have been a good idea to come into the Atium. Gavrael appears to be making a fine trade though, and he is the only one I see daily that has a smile. Perhaps it’s the lack of taverns. 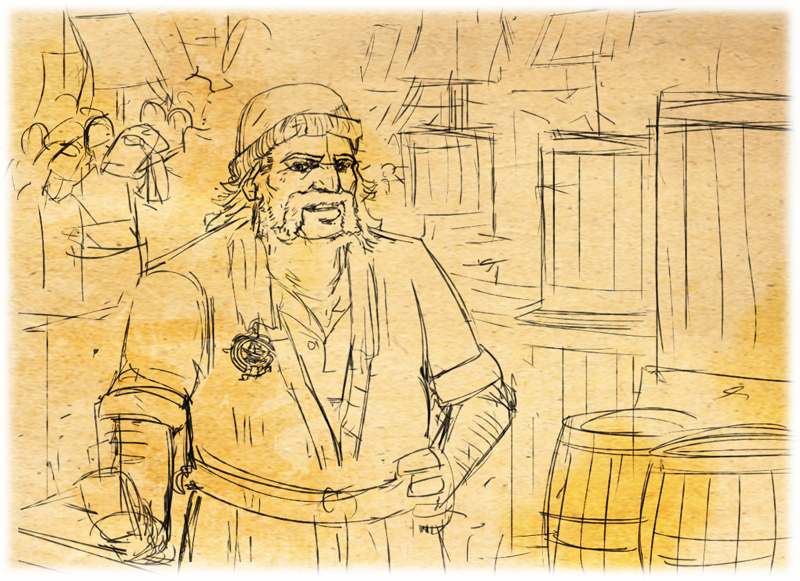 I hear that all taverns were shut down by the decree issued last week. Some people hope that it is just a passing mood of the Obsidian Perch. I hope so too. I am too thirsty to write on further, and I think that I’ll go out again, just to see if there might be one or two illicit taverns that are still operating in the city. I have come across a pass that appears to be utilised by the Tellions to grant access to the Atium, but it has some effects that I wish to bring to your attention. The pass itself is made of a greyish metal that is smoothened to a dull shine. It appears to react to the magic that the theurgists use, and it unlocks in their hand to reveal a folded document within. It does not seem to have any relation to any Sotran material that I have seen before, although it is very close to its make and seems to be mechanical in nature, although I am very sure that magic is involved. Perhaps they have discovered a way to charge materials too? It is highly unlikely, but very unsettling to me. I have sent you a sketch of the device. Perhaps you will find some explanation for this artefact. There was a huge hold up at the gate where the guards were waiting for people to be cleared. I say the guards were waiting because they seemed to be waiting for a certain man to allow anyone into the city. All weapons were surrendered to the guard as people entered, even items like staves or pitchforks were tossed into the pile of confiscated goods. It took us the better part of the day to get in and so, while Gavrael was content on waiting for our turn, I wandered about. It seems that the city has spilled beyond its walls, as there is a huge encampment encircling the city, and is particularly thickest at the gates. I thought it was an army, but closer inspection revealed I was wrong. Peasants of various sorts linger about the makeshift tents, and dirty children and scruffy dogs alike wander down the muddy pathways between the tents. Two mugs of beer bought from a questionable source managed to loosen some tongues. A small area was set aside for drinking, with men on little wooden stools and their legs, too close to the ground, were either was crouched back in a near fetal position or splayed out like fallen marionettes. The beer itself was thin as water. I’m not sure if it even can be called beer. But the people there enjoy it well enough, or at least, manage to drink it. I talked to some of these people. Some have a faraway look in their eyes, others move slowly, as if in a dream. These people are the dispossessed, fleeing war and hunger, but are not allowed into the city and so instead they brought the city out. I too found out where all the wood went. At some places, there are huge campfires set up to provide warmth, and they require feeding constantly, especially since the nights are getting cold. I wonder how long they will last. The only true forest hereabouts is the Imperial forest, and the trees there are protected. After a time, I made my way out of the tent-city and back into the queue. We got in without much issue, since Gavrael had some kind of special pass that his rich patrons provided him and managed to convince the guards that I was one of his servants. It wasn’t too difficult, with all the layers of dust and dirt from travelling. If you decide to take a tour of the nations, just as some scholars of Maratellin do, you should visit Maratellin as your first stop. It is a nation seeped in history, beauty, and quite a bit of intrigue. But enough about that. Another important point is that Maratellin cooks are the finest when it comes to making things out of nothing. I am reminded of this fact constantly. If you can make a meal out of a bundle of twigs, a rabbit’s leg, and some herbs picked from the side of the road, then you can survive anywhere. If you have taken to the lyre too, then you should buy one from Maratellin. It is a little expensive, but well worth it. If you sell it off in another city, it should probably fetch more, especially in the Singer’s Plain. They don’t like to admit it, but they use lyres made from Maratellin wood. If you don’t believe me, you can examine the underside of the lyres, for most lyres, there would be a small stylised B and R, which stands for Benetictos and Ralinfina, a particular brand of sturdy lyres from Maratellin, made to last. Tomorrow we reach the Atium. I met an old friend at one of my stops this week. Travelling has been easy, if not every exciting. I hitched rides on logging carts. There are more soldiers on the road here, marching to and fro. I wonder what is all this activity? There are no trees in this region – most are gone from logging, so one has a clear view all around, and I can spy the Atium in the distance, a little indistinct. Anyway, on to my friend: his name is Gavrael Elgario (I shall omit his sub-titles to save space. Well let’s just say that it is possible for another paragraph to be added. ), an accomplished artist from Maratellin and quite wealthy from his trade in paintings in Esotre and Estellion. He is bald, half a head taller than me, and speaks several languages, including the tongue of the Verbana, a particular tribe of the Lyri. I have tried to learn it, but my tongue felt like it was slowly being twisted up. He says that he is travelling to the Atium to make pitches to some of the wealthier members of Tellion society. It appears that throughout this time, even the war has not diminished their taste for these fine pieces of art. I do not know if this is something joyous or sad. But Gavrael takes it well. As long as it is business he says, then it is all day to him (something to be happy about). The only thing that stopped him from smiling was mention of the Empress, and the crows. Nobody talks about that, he says. But this intrigues me further. I must get into the fortress of the Atium. They are gone. I don’t hear them. It was a lucky escape. We came across a patrol on the road. Usually, murmuring a greeting with a bowed head will be fine. I’ve seen the Tellions do it. It was not supposed to be a problem. But I think there was something wrong about my pronunciation. Interestingly did you know that the Tellion word for fool sounds very much like Captain? I think that was why the young man suddenly grew so enraged. They ordered me to stop and searched through my belongings. Do you remember that I told you that I brought along my cloak? Well, it wasn’t a very good idea. It is not a usual one. Not many would recognise it unless you had been through Esotre’s military. It was a souvenir from a corps that is never seen by the enemy until they are slain. But one of the men must have been back from the wars. They passed it around for inspection, and then one yelled ‘Greyjacket!’. I took that for my cue to punch the captain on the jaw. It stunned him long enough for me to retrieve my cloak, and of course I took to my legs. Let me tell you that while I might not be a good shot with a gun, I have been well trained in getting away. In fact, I take much pride in my ability to run away. Trying to get away from a spurned Skymage mounted on a hawk-griffin while running uphill is the ultimate test of one’s sense of survival. If you survive that experience, you can get away from anything. It wasn’t so difficult to get away from the Tellion patrol while they bumbled and smashed through the woods. It has been some time since I last saw them. I shall venture onto the road again. A snake got into my bed two nights before, and it proved that bringing Tat along wasn’t such a bad idea anyway. The snake was not a big fellow, about the length of my arm. I think he was poisonous, because there were two pronounced fangs when I checked. But either way. I was not in much danger. Tat made straight for the snake, dancing about it while I backed away slowly. The snake reared up, hissing, but it was then that Tat dashed in and struggled with the snake for a moment before gaining the upper hand and biting its neck. The snake stopped moving after awhile, and I prodded and smacked it with the poker to make sure it was dead. It was and Tat looked really pleased with himself, and I think he swaggered a bit. Snake tastes like chicken, but since it was poisonous, I didn’t really want to cook it. I gave it to Tat, who brought it away somewhere into the bushes. I think he ate it. As we walk on, we hear more stories of a beautiful and terrible Empress who stalks the halls of the Obsidian Perch, issuing armies from her throne to ravage the world. And looking all around, I can believe these stories. When I ask, people are generally shocked, or refuse to answer my questions about the Empress. Usually I am dismissed with curses along the lines of ‘Crows get you.’ I hear they refer to ghost-like men who can transform at will into black large crows, but no one has seen them. Perhaps it is an old tale told to children. It is interesting that nearly all cultures do have some sort of mythological creature whose sole purpose is to steal children away. The Ravens have the Warches, the Ardites have their vultures, and we have our Trunkman. I will investigate this further. Now I rest on the side of the road where it is the only thing that is human in the grassland that surrounds me. The swaying grass here grows to your knees and if you are not careful, it is rather easy to step into a ditch or an open hole in the ground. I have not done that, although I passed the bones of a horse that might have stumbled into one and broke its leg. I think its master killed it out of mercy for the poor thing. Sometimes, we are helpless to stop the pain of others, and the only way out might seem to be cruel, but perhaps it is also right. I saw a very interesting plant by the road today. I very nearly touched it too. It is the Sigura Maxima, a vine that usually grows within the Lyri forests. I wonder what is it doing by the side of a Tellion road. It is much beloved plant amongst the Vren, and they buy it whenever they manage to scrape enough money together. What they do with it is that they add it to their wine, which induces a state of intense hallucinations of the most exciting kind. I have stolen a sip myself of the wine, although I would not recommend that you try it. The hallucinations vary from individual to individual. Amongst the ones I had was that I could fly. But the aftereffects of becoming sober is so depressing that many try to recover the experience by drinking more wine, or more of the same spiced wine. The problem is that it only ever works once. It is legendary to the story of how Vren was founded. A group of men sharing a flagon of wine with Sigura Maxima added is not unlikely, as well as the story of how they continued to drink afterwards to recover the lost dream. Perhaps I can tell you the story in full one day. It involves quite a bit of quaffing though. Your mother might not approve. Sigura Maxima, when touched causes a bright red rash to form on the skin that lasts for a week. If consumed without the addition of Vren wine it usually causes violent twitching or the victim being petrified before being followed by death. Sigura Minima on the other hand looks very much like its poisonous cousin, but the plant itself is inedible, although its fruit is reputed to taste like raspberries. The Arns plains would be the flattest reach of land that you would have set your eyes on. Apart from the occasional clump of forest, trees huddling close together as if for protection, there is only a stretch to the horizon, flowing grass and the domed sky above. Walking for some distance into the plains on a reasonably large road (not the ridiculously wide Imperial roads), we came across few people. Most hurried past us without even a look or greeting whereas there would be pipes to share and stories to tell in the past, but now, only silence. Not even a cheery greeting would get anything other than suspicious glances. The only acknowledgement we got was a raised hat by a farmer as he passed on the opposite way. The ‘Lift’ is a product and a statement of Sotran engineering: no self-respecting Tellion engineer, or overseer as they call themselves, would have used such an excess of steel. It is built like a dam, and the waters were redirected from the main flow to fill it. Barges that approach downstream enter a compartment that is adjacent to one that is used by barges that approach upstream. When the two barges are locked within the structure, a valve is opened near the bottom of the wall that separates the two compartments and the water rushes through, lifting a barge and lowering one simultaneously. The barges will eventually come to an equal level, and the valve between them is closed and the valves that open to both upstream and downstream are opened and the water levels raise the barges to their desirable levels. The advantage of this mechanism is twofold: there is no need to pump any water, and it moves the barges quickly between upstream and downstream routes. I have included a diagram below to show how it works. All of these can be merely observed from the outside, but what I am interested in is how water is kept within the chambers without leakage. The pressures involved must be enormous indeed. I must make a note to ask around when I get back. p.s. Perhaps, if you are interested to know more about machines, you can send a letter to Farsis of the Academy. Ask what you want to know and tell him that I recommended you. Along the road up the main river that feeds into the Deverra, we passed the magnificent Aspertias. It is a series of rapids that leads down to the Twin Cities. The road passes alongside for a distance, and if you look down, you can see the water churned to white, frothing, hissing, and roaring like a wild animal trapped in a cage. The entire length of the river is splendid to behold for its activity and its surrounding beauty. The forests around the river have been left untouched, though it is mostly due to a decree passed years ago by some king who passed through this very same road, that whoever cut down the trees in this region along the river are to be punished by death. It seems that the decree still holds today. Perhaps you might be wondering now, then how do goods travel between the Atium and the Twin Cities? Well, they do, but the boats don’t. A town used to sit slightly further upstream before the rapids begin, and it made its living purely from servicing the river workers and the pack drivers that transported goods past the rapids and to the barges waiting downstream. But today, that town is gone, only a ghost of it remains as a village. The centre of town has shifted towards a new structure that has enabled barges to move both up and down the river, eliminating most of the town’s usefulness, but it appears that the town has continued to survive. It is lucky that my accent is close enough to that of the Tellions so as not to give me away. Once, though, I nearly got myself caught by making some undue references to the situation in Silvergate under the influence of too many mugs of beer. Tat seemed to also have developed a taste for Tellion beer (a little too strong for my taste), and after drowning himself in two mugs, crawled into my hat and refused to get out until evening the next day, the grumpy fellow. I have the bite marks to show it. I have swapped my garb for a less conspicuous dress that is more common in Tellion lands, though it is rather plain. My lucky cloak however, I am unwilling to leave behind. It has saved me more than once, such as catching on an outlying branch and preventing a hundred feet fall, or sheltering me against the winds and rains. You get attached to your cloak when you are out there, a hundred miles from the nearest human dwelling. I am writing this from a Tellion tavern, and it is quite different from the ones that we have at home. For one, unlike the closed affairs that we have, the taverns are usually open to large courtyards or have large windows to let the wind and light in. High fluted columns thrust the ceiling high, so much that you do not actually see it when drinking. It loses some of a tavern’s greasy atmosphere of course, but it attracts a certain kind of people other than your usual rowdy crowd. Across me a man is writing poetry while one can hear the light tunes of a lyre being tuned in the distance. As you can see, Tellion taverns too have their own special charm. I will send this as soon as I am able, but not much traffic moves through the borders today, and I think other, more special means might be required, though they will necessary be slower. The atmosphere here is pleasant although there is still some tension in the air, but that might have been due to the fact that this town was untouched by the ravages of war. Men patrol the streets outside, and there is a constant guard over the roads to the town. But even then, people cannot be under pressure all the time, they have to relax, or they snap. Pigeons sent, and pigeons returned. At the deepest shadows of the towers, a quiet paddle. The coo of an owl, and a heartbeat of a torch waved in our direction. But all silent again, and we reached the bank in silence. Moon watches as silver flickers, and a dark shape paddling away. Getting out of this city is harder than I expected. Beyond the highest North wall of the city one can spot the three encamped garrisons and their spirals of white smoke rising high above the horizon. Rumors tell of constant patrols on the roads on the outskirts of the Twin Cities, and of travellers accosted, sometimes robbed, sometimes disappearing. Nearly everyone I meet has heard of someone close being stopped by Tellion patrols on the road. It is hard for me to believe that the face of the Empire has changed so much, and some tell darkly of a half-maddened Empress bowed over the throne in Atium. I do not believe too much of it, nor should you. The disputes of nations are far beyond me, but it does sound like an exciting story to see how Atium has changed, and perhaps, to see the face of this empress by my eyes. I have begun my preparations to leave, and I will not be able to write as readily, as I will have to find my trusted companions in a land which I fear has become hostile to me. I shall write more when I complete my preparations. What fortune, to meet someone that you have known once before by chance. His name is Bacilious Omera, a trader in wood products such as furniture and carvings. He was quite a big man when I last left him in the winter of 1268AE, him having a fondness for deep fried pork, a particular food that the Street of Small Traders is renowned for. He is bigger still today. That is a comforting sign that at least some within the city still prosper. But he is concerned by the future of the city. Tellion trade was stopped two months back, and most traders in the city are feeling the pinch, since the Tellions control most of the waterways into the Twin Cities. The only way that the city has been able to survive is the Ardite trade through the Whitewaters, but Bacilious is worried that even this meager trade will be stopped. There is talk on the streets that negotiations are being carried out with the Ardite to keep the trade routes open, but most believe that negotiations will fall through. While I hear Dame Galea is a fair and just ruler, she is unfortunately a little inexperienced in terms of the politics between the nations, but people hold her to be a paragon. After all, she did fight alongside the legendary Rook Harper to ward off the Kaysan before freeing the Twins from the grasp of the Tellions. A hero to the people of the Twins, but I feel, just as Bacilious feels (although he only mentioned this subtly) that the Twins need more than a hero if they are to survive the days ahead. I am staying at the Red Griffin tavern, which overlooks the waterways of the Istoni, and I can sense an undertone of tension in the air, which must have gave me the sense of unease yesterday. There was an absence of boats in the river, and an overwhelming presence of the City Guard in their yellow and blue drifting up and down the river, watching and searching each barge and craft as they come in. The good news is that I am in the care of an old and dear friend. The barkeep, Red, is an acquaintance of mine and it seemed like it was not too long ago that I enjoyed his company on the road. He is doing quite well, probably due to the huge axe he likes to hang behind him. He told me he had never an occasion to bring out ‘ole Thirstbringer’. Most of his patrons are in awe of that axe, and that is probably why his tavern is the safest place to be. He is an old adventurer, a little gruff, but for the most part he usually means well. It is heartening to see that he even has had time to settle down and start a family! He has a daughter, slightly younger than you, who luckily for him has no resemblance to him and takes after her mother for the most part. Quite an endearing little girl ­– I’m sure the two of you would have been very good friends. I took a trip down the street, taking Tat with me, since he does not take well to being alone. The streets still throng with people as I remember it, but the Small Trade district, which I felt was the life of the city, was gone. The city has not yet begun its rebuilding efforts here yet. Only a few makeshift stalls stand here, trying to peddle off cheap goods at twice their cost. I was about to head to the Administrative Quarter, but the ruins blocked my way. It’s a pity. One cannot say that they have been to the Twins without having stood in the middle of the four tall buildings that make up the Administrative Quarter. It was quite splendid in my memory. I was however, able to visit the Square Plaza. There in the middle was a stone plaque, upon which a simple line was carved: Here lies the ground where the Gorgons of Whitewater stood their last. By the moons, how this place has changed since the last I set foot here. The Twin Cities are as beautiful as they were in my memory from afar, with the gleaming towers of white rising high over the river, but there are guards along the wharf dressed in a livery that I do not recognise. It must be true then, that the cities have risen for themselves. I disembarked, and was searched as I entered the city, and it took on a more different sight. Where I remembered gleaming streets, now dirt edges the stones of the walkways. Beggars too, unseen in the Twin Cities of old, sit at corners with wooden bowls held out for the coppers that might fall within. From time to time I came upon a charred ruin of a house, all its blackened timbers still in their haphazard places. A youth must have spotted me looking wonderingly about, for he asked if I had seen the Walkway. There was no such attraction before, and I thought that they might have built another bridge across the water, but they had not. Instead, the Walkway was a collapsed tower across one of the main thoroughfares of the city, and it now serves as an overhead short cut for people heading across the street. People and carts squeeze through the ruins below, and it can sometimes cause massive jams that take days to clear. But the city survives, and it still functions. Nevertheless, the people still seem happy enough which I found strange, but the famed cordiality of the Twin Cities has not diminished it seems, even after the terrible war fought along its streets. I do hope you know of the battle for the Twin Cities, and if you do not, I urge you to ask your mother, it would be too long to describe here. I will be taking residence at a nearby tavern soon, owned by an old friend. You’ll hear from me again soon enough. The byways of the rivers are the best places to be. All sorts travel up and down this region, and especially the Ardites, who use this river as their almost single means to obtain most of their goods from outside their borders. I know, yes, you would probably have learnt by now that the Ardites are our mortal enemies, but I’m not sure, perhaps the water washes away all grievances, or perhaps they know that this route is too important to risk. There are occasional insults and the traditional parries, but none that would lead to the drawing of swords. They call us dirt-eaters, and they are called milk-teeth (on the account that the Ardite cuisine consist of mostly vegetables), but after a long day, everyone agrees on the ridiculous taxes and we all come away happy with a mug of ale. The river is too transient for such insults to hold. Sitting in one place, yes, it’s easy to brood over a single word said (or not said), a gesture wrongly interpreted (or given), but on the river, you are always heading somewhere new, leaving yesterday behind. I am reminded of an Ardite saying, ‘Na nuisci athru i gconai’, the water always changes. There is too much to discuss within this letter. It would be better if we talked in private about this matter. If I had upset you in any way, it was unintentional. I did not mean to reopen old wounds. I have managed to gain passage on a barge heading towards the Twin Cities. The Whitewater river meanders a little, but that is to be expected of a river. What is interesting about Whitewater, is that it gained its name from the milky white that you’d gain if you mixed three parts water and one part milk. It is of the same consistency, and if you sprinkle in a little dirt, then you will see what Whitewater looks like. Some say that it is due to the chalk that the water erodes as it flows from Ardite territory, or limestone, but unless I travel upwards, there is no absolute way to find out. The barge I am sailing on is named the Blue Falcon which is crewed by the merry, if somewhat lascivious Fullen Puliatus and his small band of three, who handle the riggin’, the fishin’, the liftin’, and the boozin’ on the Falcon, to hear them tell of it. Apparently, only Fullen is allowed near the wheel of the barge, and the other men don’t even think of entering the pilot’s quarters. I share a bunk with the men, but I prefer to sleep on the deck, away from Old Griffit’s snoring. It is peaceful when we are anchored for the night, apart from the lapping of water, and where there is very little possibility of danger when we are in the middle of the river. There are some things… that children must come to know in their own time, and not thrust upon them. How will you explain death to a young child as the Sepia Order understands it? That when people are gone they are nothing? They cease to exist? What of then who they once were? People live on even after they are gone Makkre, in our hearts, in the things they leave behind, be it a child, a book, or a toy made. Do you know Aelise treasures the ravencarving her father made for her? What then should I tell her when she asks about her father? You say you tell only truths Makkre, but I ask you, what is the distinction between what is true, and what is false? Is it only when it’s a truth to you then that you choose to repeat it? What of the truths held by others? This letter was written on a small table in a shop alongside the Witton dock. It is a short way from the walls of Witton Hall, although they are beginning to build walls around the dock that will eventually link it to the main Hall. I hear that this was because the Varishah forces cut off most of the supplies to the Hall by storming the bay years back, and it played a major role in causing the fall of the Hall. The bay itself is actually a stretch of platforms built out over a particularly wide portion of the Whitewater river. Here barges sail down from the Ardite lands, bringing all sorts of goods to be traded at the hall. One product that is particularly valued is the milk of the highland cows that the Ardite keep. It is said to have some healing powers and is apparently good if one is having bowel problems. Another well-known item that is produced in Estellion and found in Witton Hall is seared whitewater fish. Freshly caught, seared over charcoal, and served with a dash of spices, this dish is legendary in other parts of Estellion for its flavour and the particular tanginess of the flesh. I heard that it is considered a delicacy in the Atium, although one wonders how the fish can get from here to there without any spoilage. You cannot always be there for her forever. There must come a time where you have to step aside. Perhaps the world is as terrible as you believe it to be, then isn’t it right and better for Aelise that it is revealed to her now rather than later and have false fantasies torn down? You always say such wonderful things about the world when you are persuading someone else to see through your eyes. Aelise tells me of what she imagines you to see, and she is so excited by it. But consider this: the world is not always beautiful, it is not always kind. It is my duty as a mother to guard my daughter from the pain that the world would inflict on the innocent and the unwarned. This letter might reach you later than expected. I will be passing it along to a good friend of mine, Molla Istalius when he passes through Witton Hall. Yes indeed, I am finally at Witton Hall! The Hall itself is large, not as large as Silvergate, but large enough to contain an entire regiment and its supporting town, and a large one it is too. A double arch greets you as you approach the hall, and far off, you can see Sotran soldiers patrolling the walls and looking down from the tall watchtowers that flank the entrance. A human tide pulses in and out of this heart of the region, for it was one of the seven Halls that encircled and protected the Estellion Empire of old from external threats, although now it belongs to Esotre. Once inside the Hall, one is immediately greeted by a permanent marketplace that sells everything from clothes to freshly picked fruits from the fields of the Witts Plains. However, my particular interest is in the woodcraft that I can safely say to be the best in region. All wood craftsmen are situated in a particular district within the market, known as the Carver’s Way. There, the most exquisite of woodwork is on display, from tiny elaborate carvings of horses no larger than the tip of your little finger to functional furniture of various sizes. I bought a single cylinder of wood, and that is for Tat to prevent him from gnawing off the leg of my bed at the inn I stay at. Another note: I parted with Polema when we reached the city, since that was where the crossroads split. I dare say I will miss her company. You can still see the torment that the Witts land has suffered under Tellion rule. When the Tellions came, they scorched the earth. Perhaps it was a jealous attempt at saying ‘what we cannot have, you shall not either’ but at what cost? Huge tracts of what was once fertile farmland lie barren today. At time, there is not even a living thing in sight, save the lone shoot or tree. Even now, the land is scarred. We passed the bones of a village today, nothing left but the stone foundations and a couple of feral dogs arguing over a bone. I have forgotten how far down the bottom was. We had to walk up and up a circling flight of stairs all the way up. I had to take a break somewhere in the middle before continuing up. It was no problem for Tat though; he could run vertically up the trunk. The top was some distance off the side of the Dropwoods, and we had to walk across a good number of rickety rope bridges. Under the canopy, the leaves grow densely and the air is almost still. A whole mix of lives are lived and died here, Jee’ra says. Some of the insects that are found in the canopy never descend to the ground, for there is everything they need there. Can you imagine? Your whole life only knowing branches, leaves and more branches? What of the mountain peaks? Waterfalls? A sea of flowing grasses. Ah, I guess I have begun to ache for other sights after being so long in the Dropwoods. I received your letter. I did not mean to offend. Polema knew Iscar both as a friend and a mentor. She is saddened by his passing. But Aelise should know more about her father’s belief, and not only of the ravens. She should be exposed to these ideas at a young age, then maybe she will grow to understand the beautiful diversity in our world and appreciate it for the brilliant tapestry that it is. With regards to your previous letter, I would like to request that if there is any message from any of my previous friends, please enclose them in a separate letter and preferably through a trusted messenger. You know the reason why. Polema was a good friend of mine and my husband’s, but it is only so long that my daughter has forgotten her previous life and stopped asking after her father. Do not bring it up openly again. I believe I can trust you in this. In the middle of the Dropwoods, there is an open lake, known as Lake Deep, that looks out to the sky. It is a welcome sight after the days of wandering beneath the patches of light and gloom that the tall Dropwood trees cast upon our lonely band of four three. The drop of blood that you see there is mine, from a wound bitten by Tat. It appears that he doesn’t take kindly to the feather of my quill tickling his nose. The lake itself, to hear Jee’ra tell of it, is a small one. I think this is so, since I am able to spot the other side of the lake. However, its feature is that it is extremely deep, and the waters gradually transition from blue to a deep green in the middle. While the lake itself is rather fertile, with a thicket of plants growing right up to the water’s edge, it is not fit for drinking. Jee’ra says that it will cause a temporary bout of insanity due to the water’s content. Nevertheless, I obtained a small bottle of water from the lake for future studies. Of course, such a lake would have its own legends too, and while a possible explanation for the water and the deepness is probably a collapsed volcano from ages past, Jee’ra claims to speak for the rangers that a seven tentacle monster lives in the lake to emerge at night to hunt. Two rangers were lost boating over the lake, and from time to time, carcasses and bones of various animals have been found at the edge of the lake. But if you were here, in the afternoon, watching the light sparkle off the waters of the lake, and hearing the chirp-berk-ha-ha call of a casun bird far above in the branches, you wouldn’t have believed it. I met a young ranger by the name of Soleo while he was practicing. The Dropwood rangers are rather proud of their ability to fire arrows over any obstacle and through the smallest hole imaginable. What they hate is gunpowder, which is strange, seeing as how we as a nation have so much reliance on it. I have heard rumours on the street last year that the Reserves are running out of gunpowder, despite production being raised to full capacity. It is a blessing that the conflict has ended, even if it is only temporary. So I was talking to him while he trained, and we spoke of many things – The birds, the seasons and about the people as well. At the same time, Soleo was firing arrow after arrow into a worn target board. It was quite impressive and very intimidating. I heard he mentioned a ranger who had left the Dropwoods to hunt after Tellions, which is strange, because it is extremely rare for a Dropwoods ranger to leave this place. I have never heard of any who have done so up till today. Even more surprising was that Soleo was thinking about joining this Denaloo. Perhaps even the world is changing in the eternal Dropwoods. As I am writing this I am looking out through the windows of the watchtower of the rangers of the Dropwoods. Well, it is not exactly a watchtower as much as an elevated cabin that peeks out above the top canopy of trees. There is nothing to see today, since a thick fog has settled on top, but on clear days, Jee’ra tells me that one can see the swaying and sweeping of the leaves like the sea on a stormy day. I admit, this watchtower scares me a little, as it is rickety and sways a little even when there is no wind. This particular patch of forest is reserved for the rangers. It is like a little town of the trees. Perhaps it was due to the animals that used to roam here in the past, or due to superstition, but the only way to reach this town is through the spiral stairwell that winds up around the huge Dropwood trees that grow here. The houses themselves are built onto the trees, usually supported between two trees and made of the same sturdy wood that holds them in the air. Inside each house, you’d be greeted by a small room with a hearth that rangers come to rest their feet by, and up a short flight of stairs would be the largest room in the house: the living room, which curves partially to accommodate the trunk. Further up another flight of stairs would be the bedrooms, which are small by any standards, and finally the store before the back door of the house, that leads on to other houses by means of rope bridges and platforms. The people here live simply and off what the forest provides for them. Apart from the occasional merchant and the annual supplies that they receive, this town of rangers get very little contact with visitors. Jee’ra says the same too, and is proud of his job, stating more than once that he would have no other life than this, but some others feel differently, particularly that of the younger generation. This is a cause for concern for them, since if no one replaces the old rangers, then there would be none left. I saw on my way up a couple of abandoned homes, their windows dark and streaked with cobwebs. I peered inside, but there was nothing except dust. I dread the day that all homes in this beautiful village fall dark and dusty. We met a pilgrim on her way on our second day of travelling. Her name was Polema Stratos, from the land of the Bracs to the West. She was dressed in a brown travelling cloak, which is traditional to that of the Sepia Order and carried a small pack that supposedly contained all the necessities that she needed. Polema is about a head shorter than me, had a pleasant light voice, and was a ferocious talker. I later found that she was travelling towards Estellion, north-east of the Twin Cities to a particular spot of land. The Sepia Order particularly venerates it because one of the seven relics created by their founder is housed there in a temple. If you want to know more, you can ask your mother. She would be familiar with the Sepia Order. p.s. Polema sends her greetings to your mother. I hope this message gets to you successfully. If no, then it’s too bad. When I wrote this letter, it was under the deep shade of the enormous Dropwood trees. I believe you know something about the Dropwoods? There are many legends and stories that surround the Dropwood particularly that of the Tree-man of the Dropwoods, which you might have heard, emerges from the gloom at night and makes enormous strides across the land to the houses of naughty children and scratches on their windows with his long wooden claws? If they continue to misbehave, then he snatches them away at night by engulfing them in the branches and brings them to the Dropwoods to live with him forever and ever with no hope of escape. Well, that was the version my mother told me, but I am happy to announce that there appears to be no such creature in existence within the Dropwoods (I even changed the labels of sugar and salt in Jee’ra bag when he wasn’t looking, although that meant sweet boar’s meat for the both of us on one dinner, which was surprisingly pleasant), but the Tree-man did not come even after I laid a bunch of crosses made of branches around our camp. What I did find was that the bottom of the Dropwood was extremely quiet, so much that you can almost hear your own heartbeat and the incredible serenity of the area. Jee’ra, says that there are pilgrims who travel here every year just to be amongst the silence and to pray to whatever gods they believe in. We spotted a small shrine dedicated to the Raven, which I have sketched below, and a small alcove holding a tablet addressed to the Ancestors, which was quite surprising, since the Ancestors are worshipped by the Ard-Ru, whom we as a nation are not exactly friendly with. But Jee’ra is right, the rangers permit no one to touch the shrines, and this is because the Dropwoods have been here longer than the formation of Esotre, and these shrines form a part of the Dropwoods. You requested that I send you a report of the vegetation of the Dropwood forests when I got a chance to visit the area, and I recently had the chance to visit the Dropwood region. Much of the information that you find below is due to the assistance of an experienced Dropwood ranger and a dear friend of mine, Jee’ra. Since a description by words would be too long, I have included a sketch with annotations of the parts that you’d find interesting. In this letter also contains to Dropwood tree leaves of the trees before and after the fault respectively. I believe that you’d find the minor differences between the leaves rather interesting. In case they were lost in transit, I have also included some charcoal sketches of the leaves, with exaggerated features that indicates that the Droopwood trees are not as similar as we might think they are. Greetings dear friend. It has been a long time. I apologise for not writing, but you know how unreliable messages are when nearing the Dropwoods. I will be approaching the Dropwoods in a week, perhaps you could meet me at the Five Point Stone at the First of Soressin? I will ensure that I reach there on time. There is so much to catch up on, so much to tell you. I forgot to mention. Tat sneaked into the prison. He is smart enough. Both to get to me, and that I would have to share half my food with him. So I was half-starved in the time I was in there. Having no cloak, Tat still insisted on climbing up my arm, producing a whole series of scratches. It’s very hard to remove a weasel if he is determined on clinging onto your arm. I have the scars to prove it. Unfortunately, my first foray into the Varishah lands was a disaster. Don’t ever sneak across a river guarded nervously by both sides at midnight. They thought I was a spy, and dragged me off to their prison (rather unique design I must say). Interestingly enough, they do have people called, or titled the Oathbreakers. These are men and women who have committed heinous crimes, but yet are given a chance to absolve them. The punishments for these offenses would usually be death or a long term of imprisonment on Esotre’s side of the border. The Oathbreakers retain their lives, granted to them by the mercy of Kayes, but they lose everything else. In redeeming themselves, they must cut off all ties to their previous lives. Everything, from their property, wealth (or lack of it), blood ties, even their names are given up once they join the Oathbreakers. They will never regain their identities, but are instead given new ones once they have proven themselves worthy of a second life. The Oathbreakers themselves as a whole are a stoic, silent people. They do not speak much, and when they do, it is in short sentences. You can imagine how long I was in the prison to have teased out these much from people who are sparing even with their grunts. I shall write more once I get to a better surface than this jerky oxen-cart. You misunderstand me. I meant crossing the river to get back onto Sotran lands. And I am very clear as to what they do to unwanted visitors who are not welcome. They have made it rather explicit to me. As a friend, I ask you that you arrange it quickly. The rat-men are not patient creatures. Unfortunately, I cannot assist you in crossing the river. It is out of my jurisdiction. I will send along a message to the Hold to obtain a passage for you into Varishah lands. It is not a wise decision, however, who knows what the Varishah do to visitors? Recently, I have run into some trouble concerning the Varish and would like to secure your help in crossing the river. If you are agreeable, please give a reply to the courier and provide escorts as well as a boat for my crossing. Thank you. I understand. But I will describe things as they have happened and what I have heard as truthfully as possible. That we who teach must not tell lies, surely you would agree. I reached the border between Esotre and Varishah yesterday. From here on, I am not sure that my letters will get to you. However, I will still try to write, just not as often. I suspect that I will not have any set place that I will rest at for prolonged periods. A large river divides the border, where Sotran troops patrol nervously on one bank, and on the other, the rat-men are said to linger. I managed to accost a Sotran soldier on his break, and he informed me that the rat-men had formed a coastal settlement of sorts along the bank. The soldier warned me against approaching them, as the rat-men don’t take kindly to strangers. But I think I will risk it, and meanwhile, I will search for a suitable place to cross the river. I did not say that. I remember perfectly what I said, and its meaning is different. Do not use my words against me. I hope you understand that what I choose to teach my child is not of your concern. While I permit you to write to her, I hope you do not encourage foolish ideas of wandering in the wild as you would. It is different for you and her: you are a grown man, but she is still a young child. I hope that you can temper what you write such that she will not have the urge to go and see for herself. Let your letters be a window to the world for Aelise in this home, where she is safe and protected. It is for her sake and mine I ask of you to do me this favour. This note regards that of the Triangle, which I read that you explicitly forbade your daughter to watch. I write to ask why is this so. I have never known you to have been a particularly superstitious or a religious woman, and if not that then why deny a child the pleasure of watching the beauty that the heavens above provide for us? Isn’t the understanding that beauty lies in being able to observe the wondrous, that which is elegant, and what others do not see the true understanding of beauty as you said once before? I was informed that the Varishah port I was heading towards was currently under blockade by Sotran forces. I had to drop off at a nearby fishing village and head on towards Varish lands on foot. Besides, Tat doesn’t take too well to the Inner Sea, the two times I tried to get him out of my satchel was rebuffed by sharp bites on my fingers. Well apart from having observed nothing of note, that is also partially the reason why this letter is rather short. I will write more when my fingers heal. Meanwhile, I will be stopping in the small town of Ledham just before the Sotran border for a week or two. If you wish, you can write to me there at the Sniffing Hound. p.s. Do watch the skies on the night on fifth of Soressin. The three moons should line up in a perfect triangle. There are some who regard this phenomenon as a sign of evil, as in the Lyri lands, but yet amongst the Ard-Ru, it is a good sign for beginnings and enterprise. The ship is a far more complex organism that I have imagined it to be. I stepped out on deck today, and its wooden surface was dappled in shadows of brilliant sunlight and dark shadows cast by the white sails like vast clouds catching the wind from the sea. I felt the material, and it was steel-tight, as were the ropes that can be as thick as your arm. The men scrambled all over the rigging like monkeys, and I felt a little out of the way when some sailors rushed about the deck, pulling the ropes about to no discernible purpose. I was invited to stand somewhere unobtrusive by the captain, which I think he meant my cabin. You might get all of my next two letters together, since for obvious reasons I was unable to send them when out on the sea. I don’t suppose that you have seen the sea before. Not many inhabitants of Eclisse have, since the Inner Sea only borders a small portion of our lands. But I am excited by the change that I have seen here since the Invasion. Before, there were only lone ships wandering in a vast expanse of water, stretching in all directions, but now, each day, we sight perhaps two other ships in the distance, travelling to far flung lands of the South for trade or for other enterprises. The captain of the ship tells me that a few years after the formation of the Varishah Federation, trade has increased dramatically the sea is now crowded with ships. Of course, with more ships, come more pirates and corsairs. I do hope that we do not meet with another ship of that purpose. Now, speaking of the Varishah, one of my reasons for setting out on this journey is to catch a glimpse of the reclusive ‘rat men’ that has seemed to capture the popular imagination, at least in the Academy. I’ve tried to imagine and sketch what the rat men may possibly look like from the little I’ve heard of them. As you can tell, I am quite excited about seeing them. Their physiology from living in the swamps must be greatly different from ours. It was a very sweet letter you sent me. I thank you for it. I visited the lighthouse five days ago, with rain on the second night here scuppering my original plan. The lighthouse is about four stories tall, with a narrow spiral stairwell that widens out as one goes higher up the tower. The keeper of the lighthouse is a young man named Jorge T’Oreau, who aspires to be an architect and to build one of the tallest lighthouses in Esotre. He says that he was brought up in the lighthouse with his whole family, but his parents died in a terrible tragedy when part of the lighthouse collapsed during a powerful gale. He was just twelve then, and credits his subsequent upbringing to his elder brother, who now resides in Estellion. I gather that they still send letters from time to time, but recently, he has yet to hear from his brother. After a short conversation about the history of the town, I left the aspiring architect to his duties and went back to town. The rest of my visit was uneventful, and I managed to obtain a passage on the Flying Gulle to the port of Aquarus Tlutum, originally Tellion, but controlled by the Varishah today after the uprising of the Faiths. I crested a hill today, and the Inner Sea stretched out beneath the sky, heaving slowly, with ships like tiny black ink spots splattered across its aquamarine surface near the port. The port of Treston is a thriving town of a population of about two thousand, mainly dealing the imports and exports of the goods from the far side of the Inner Sea. I had the good fortune to be introduced to the dockmaster, Vald Sightworth. He is a portly dwarf in his middle forties. He was dressed in the outfit of a dockworker, and I would not have recognized him as the dockmaster save for his badge of office: a bronze coin with a stamp of a ship upon it. He had a square jaw, dark sunken eyes and surprisingly strong arms. I lost in an ill-advised arm wrestling match, along with fifty coins. I queried him about the Cardani rat-men, but interestingly, he had nothing to share, despite trade with the far South all these years. “We only did trade with the settlements by the sea. The Elves came from beyond the swamps. That’s what I heard. Even then, the settlements knew next to nothing about them.” That was what he said when I asked why. I spent some time walking about the streets of Treston later. Its people are mostly pleasant, although they keep to themselves, unlike the more open demeanour of the people of the Greens. The port itself will take you a whole afternoon to explore, and on my jaunt, I saw an open-air bazaar near the docks selling everything from woven rugs imported from the Varishah lands to exotic spiced meats from beyond the sea. Another structure of note would be the lighthouse located on a cliff overlooking the port. I plan to walk there tomorrow, since it is quite late and I am exhausted from my journey. 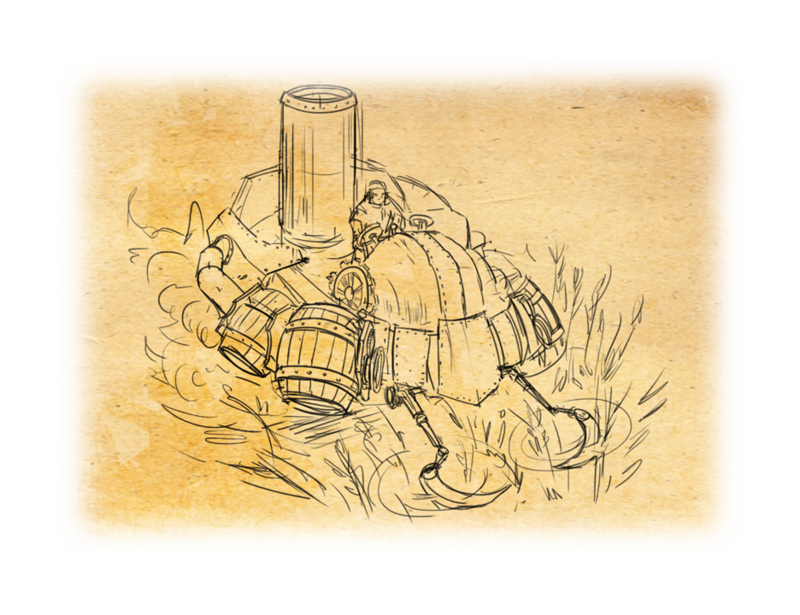 I plan on exploring this port a little more, and if you wish to send your reply by courier, I think it will be able to reach me at the Cracked Shield Inn before I seek a passage across the mouth of the Darsia River. Have you ever heard of the song ‘Walker’s Touch’? It is very inspiring, although very long, but it is perfect for long marches. I remember when I was in my brigade we used to sing this song as we were travelling between our posts. It is has a cheerful five beat repetition that can be continued endlessly. The best part is that new lines can be fitted in as you march. I whistle the tune as I walk down the roads leading to my next destination. It will be some time yet, judging from the fields that lie along the road as far as I can see. A week South, where the Greens lie. Unfortunately, it was quite uneventful throughout my journey south, but I did encounter an interesting improvisation by some youth of the Greens. I was passing by a field when I heard the typical soft whirring of a Sotran Rath Platform. I was quite surprised at first, that a Rath should be active within the heart of Esotre, surely there was no danger here? I saw the outline of the Rath in the field from afar, but as it approached, it was unlike any tank that I have seen before. It must have been an abandoned junk that was dumped after the Invasion, and luckily, the crew had the foresight to remove all the dangerous equipment from the tank. However, its earth runes still worked, and it was able to float, so I suppose some boys slightly older than yourself managed to patch up the Rath. Interestingly, they also made a few improvements that removed the front bottom of the tank and replaced it with sharp rotating scythes. They drove the Rath across the open field, cutting the wheat at a far faster rate than any team of men would have done, and with far more pleasure, judging by their laughter. It is a shame though that they turned a corner too fast and crashed into a stone wall. Luckily, no one was injured and went quickly back to tinkering with their machine again. I dare say that given their enthusiasm, the Rath will be floating in no time. I have included a sketch below as I have seen it. I hope this letter reaches you; it is hard to say when out traveling, each message must be sent by various methods: birds, couriers, merchants… But I digress. You requested that I send you my very first letter when I began my travels again, and here it is as promised. Today, I set out from the Academy, a marvelous building storing the secrets of the old and the wonder of the new. Perhaps when you grow up, you will stand before the massive bronze doors like I did many years ago and wonder at what magic it was to move tons of bronze without the effort of a single man. I will not tell you its secrets, but I believe that it will be easy enough for you to guess. It is a tradition of the Academy to welcome each batch of students in such a manner. I will be heading towards the East, where the new empire, or was it federation? Anyway, where the Varishah lies, and there I believe that I will discover many new things that I shall enjoy recounting to you. Oh, do you remember Tat? I forgot to correct you the other time that he isn’t a stoat. He is a weasel. I don’t believe he has changed much since you last saw him, perhaps only fatter from having the Academy cooks fawn over him and feed him a variety of pastries, fruits… This outing however, I plan to slim him down. He is going to have to hunt for his own food.